Dr. Adnan Saleem earned his Doctor of Dental Medicine (DMD) in 2008 from Temple University School of Dentistry, the premier dental school in Philadelphia. 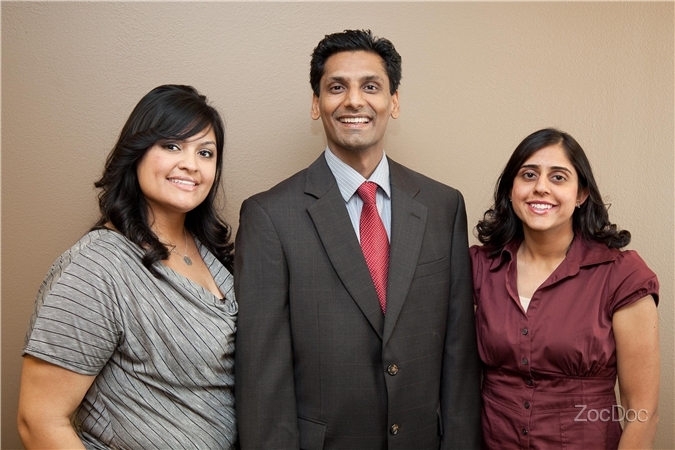 After graduating, Dr. Saleem and his family moved to Frisco, and he started practicing general dentistry in Dallas. Committed to providing the best care to his patients, he attends numerous continuing education courses each year to stay up to date with the newest dental research. In order to provide patients with the most positive, relaxing and comfortable experience possible, his office invests in the best, state-of-the-art technology including Advanced Dental practice management software, digital charting, digital X-rays/radiographs, digital imaging, intraoral camera, magnification loupes, and high definition televisions. When he is not at the office, Dr. Saleem enjoys spending time with his wife and young son, reading, traveling and playing golf. Dr. Saleem is very friendly and courteous. He and his team care about their patients, and they make you as comfortable as possible during the visit. Outstanding customer service, professionalism and caring! Tremendous experience! Dr. Adnan Saleem, DMD has no appointments on Zocdoc right now.